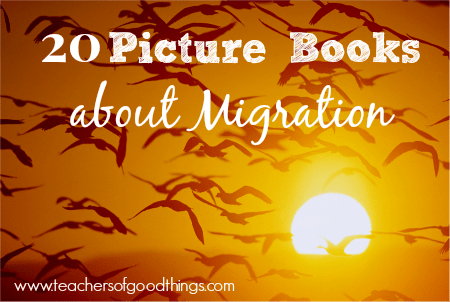 Just as we study hibernation, we also use picture books about migration to learn all we can on that topic. This always involves me gathering a lot from the library and having my children read through them and me reading some out loud to them, staying true to the Charlotte Mason method that we love so much. Keeping true to the methods of Charlotte Mason, we include narration and journaling into our one to three lessons learning about migration.